This post on How to Support STEM Learning in Teens has been sponsored by Post-it Brand but all opinions expressed here are my own. The one class I always looked forward to attending in high school was science. It didn’t matter if we were using a microscope, mutating fruit flies or even dissecting something, I was excited to walk in that door. Fast forward a few years to college. I got a degree in Microbiology and then spent years working in cancer research. The challenge of unraveling the next scientific mystery drew me in and kept me engaged until I left the work force to have my kids. I decided when my children were very young that I wanted to teach them to love science as passionately as I do. It was remarkably easy! Children are naturally inquisitive and most have an innate love of science. The older they get, however, the harder it is to foster not only a LOVE of science but also a passion to succeed. STEM learning as a teen is not always a simple thing to achieve but its something that will give them an incredible advantage in the job market in the coming years. 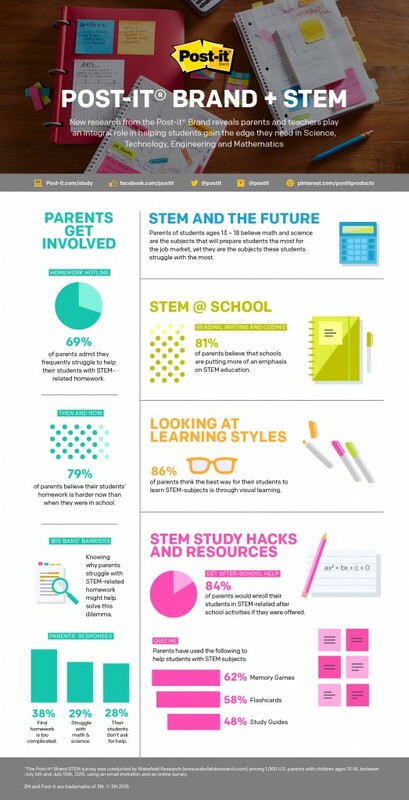 STEM is an acronym for “science, technology, engineering and math”. STEM-related programs are becoming a priority because fewer and fewer students are pursuing degrees in these fields. 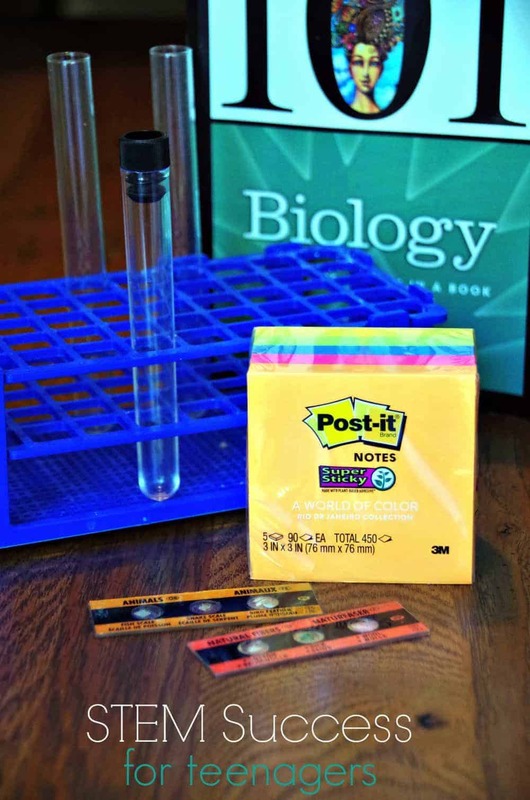 The Post-it® Brand recently conducted a Back-to-School STEM research study to learn more about how parents can help students with STEM learning. The study found that parents with middle and high school-aged students ranked math and science as the subjects that will prepare their students the most for the job market – and yet, those are the subjects their students struggle with the most! Parents admit they aren’t as prepared as they could be to give their kids crucial after-school help. My husband and I are lucky…we BOTH have Microbiology degrees and a strong knowledge of math. Even with our education, I have noticed that my teens’ homework today is WAY harder than when I was a kid! They learn stuff in high school that I didn’t see until college! 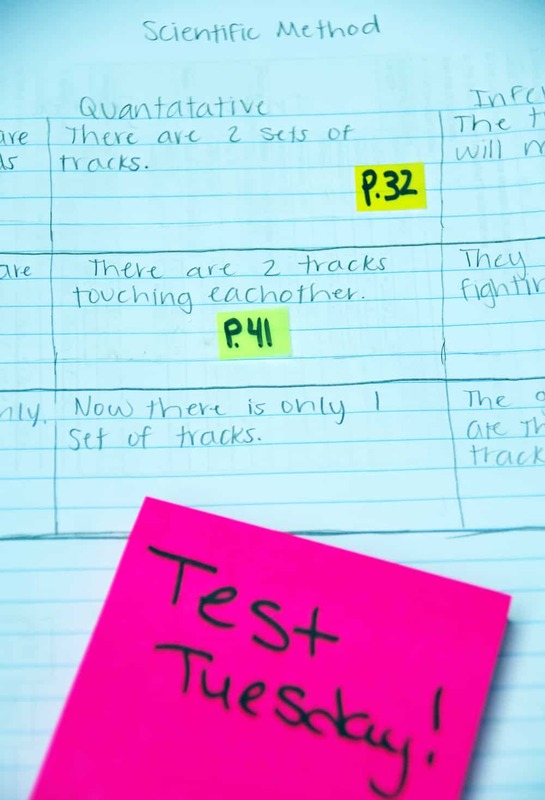 According to the Post-it® Brand study,86% of parents think the best way for their students to learn STEM-subjects is through visual learning, like reading or seeing pictures. 54% of parents think their students learn most easily by touching or participating in a hands on activity. The truth is, not all kids learn the same way. Some kids need hands-on experience to succeed in STEM learning, while others can learn perfectly well through reading books and watching videos. Be willing to try new things and get involved in your kids’ STEM classes. Encourage teens to try new ways of studying if they are struggling to succeed. 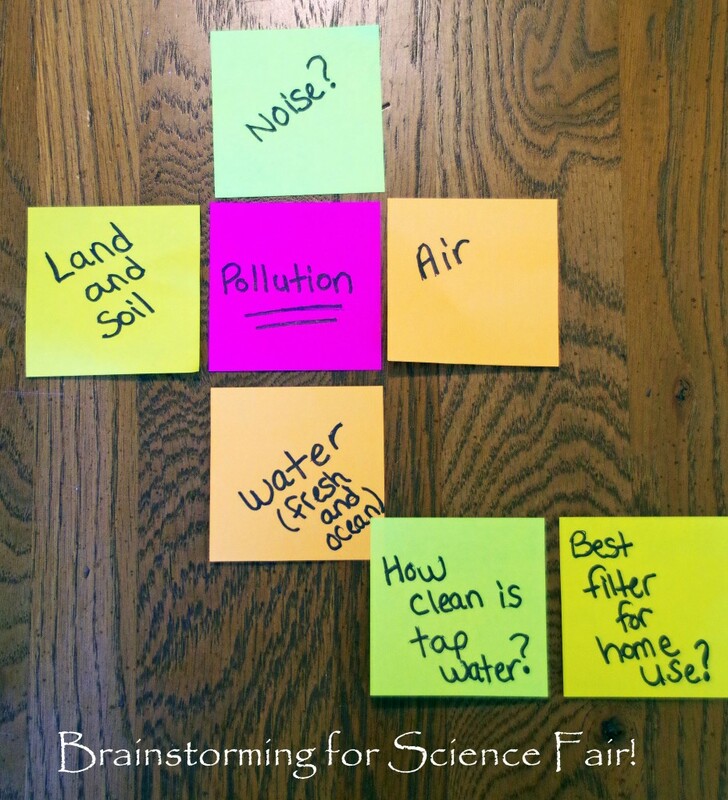 Memory games, flashcards, study guides, and note taking are all great study methods to help support STEM learning. Brainstorming an idea from start to finish with limited direction and guidance can really encourage out of the box thinking. To do so, teens can use the Post-it® Brand World of Color, Rio de Janeiro collection (including Post-it® Super Sticky Notes, Post-it® Flags and Post-it® Tabs) during STEM brainstorming sessions! 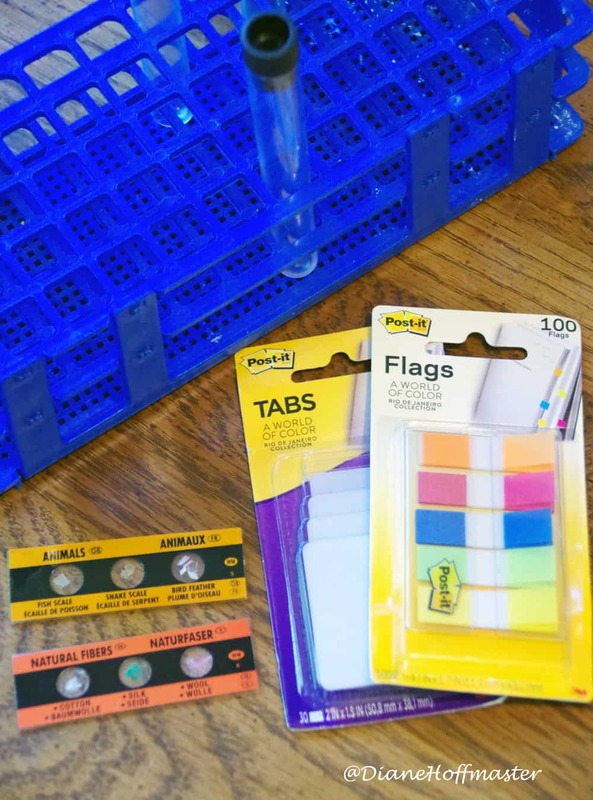 They come in a variety of sizes and colors and are great for color coordinating different STEM-related categories, or marking your spot in textbooks during study time. Do you have any tips for helping teens succeed in STEM? Follow the Post-it® Brand on Twitter, Instagram, Facebook and Pinterest! Great to do this at the teen level. Anything to help them learn better and to get a great education. This is so important! I've interviewed young women who are succeeding in STEM fields about the challenges they've faced, and one common theme in success seemed to be that they all had someone in their lives who supported them: A parent, a teacher or other role model. So I think having parents encourage their children is a really awesome place to start! These are such great tips. It's important to stay active in encouraging kids to keep learning in their teen years. Once the hormones kick in, it's all about being cool and girls and boys. Don't forget the "A"! STEAM is huge in our area (Arts) and is pushed to elementary school kids, so they're well-prepared by the time they become teens.